Prototype: Royal Bavarian State Railroad (K.Bay.Sts.B.) baggage car. Era I, around 1912. Model: This baggage car has two-color lighted marker lanterns. It has highly detailed construction with spoked wheels. The car has close couplers with a guide mechanism in a standard pocket. A pickup shoe is mounted on the car. Length over the buffers approximately 10 cm / 3-15/16". Detailed construction with numerous separately applied details. 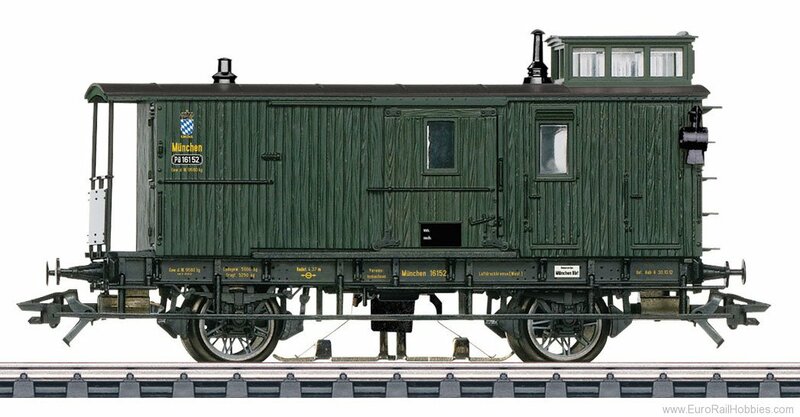 A steam locomotive to go with this baggage car can be found in the Marklin H0 assortment under item number 37982.